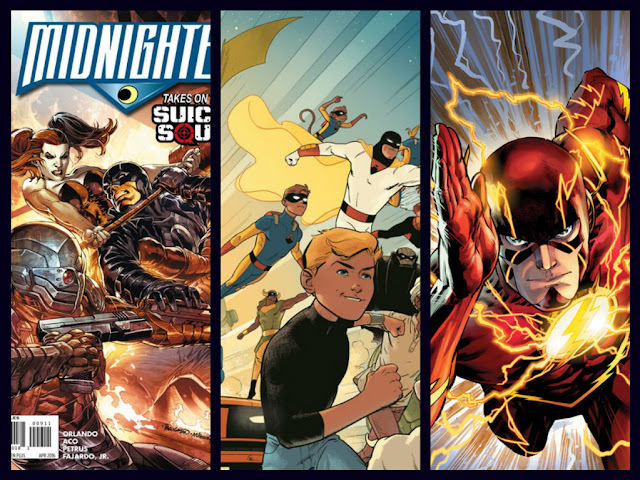 DC Comics continues to make smart moves by locking down top talent, keeping them in-house and forming an impressive stable of artists and writers. After signing exclusive deals with Tom King, Clay Mann, and John Timms they've added three more talented creatives. Steve Orlando, Doc Shaner, and Jesus Merino have reached an agreement to work solely for DC Comics and Vertigo. “DC Comics has a history of creators and characters that I'm very fond of as both a reader and artist, and to be asked to be part of that tradition is an incredible honor for me,” said Shaner. “Superman, Captain Marvel, The Flash, Plastic Man, and so many more-- these are some of my favorite characters of all time." As the publisher enters a sort of shuffling of the deck with "Rebirth" throughout their line, it's imperative that they acquire and keep veteran and emerging talent. Although, it hasn't been revealed which titles the latest three acquisitions will be working on for "Rebirth." Orlando's 'Midnighter' run may be over since it wasn't announced as part of the new venture. Nonetheless, DC has locked down some incredible talent and hopefully they'll add more diverse creatives as well.